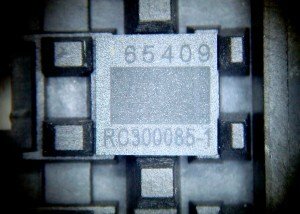 Micron Laser Technology provides laser marking, demarking, and remarking services for molded and metalize packages of integrated circuits (ICs). Our IC laser rework services can laser mark or erase, reprint, or add additional alphanumeric characters or logos to existing product. Components can be marked without ever being removed from a JEDEC tray. Components can also be presented to the laser from tubes for plastic, ceramic and gold-lidded packages. In any IC manufacturing, mis-marking of components can happen. Don’t let the non-value added process of a part marking scrap your product. MLT can laser reface the package’s surface, erasing the mis-mark, and remark with the correct data. Remarking an existing mark to improve legibility can be a viable IC laser rework method utilizing optical alignment and font matching. MLT has the capacity for laser marking both high and low volume lot quantities of BGA, QFP, CQFP, CLCC, JLCC, QFN, SSOP, TSOP, TSSOP, SOIC, PLCC, and DIP. 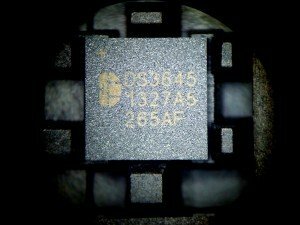 Just about any molded or metal IC package can be laser marked or laser reworked. MLT’s IC laser mark and remark services have the advantage of selective area processing combined with energy control that will not thermally stress or induce heat into the package. ESD procedures are incorporated to eliminate yield loss due to electrostatic discharge. Please contact our sales staff to discuss your IC laser marking or rework application.